The universal implant condenser line gives the clinician maximum control and safety by providing safety stops for the following lengths: 0.20”, 0.24”, 0.28”, 0.31”, 0.35”, 0.39”, 0.43”, 0.47” and 0.51”. They can all be fastened through a convenient O-ring connection. 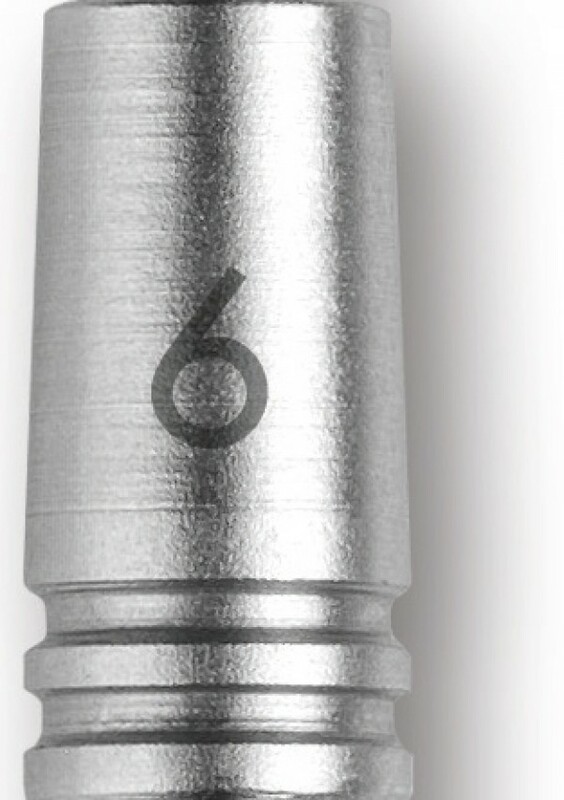 The specific crestal diameter of the implant socket corresponds to the respective working depth of the selected stop.